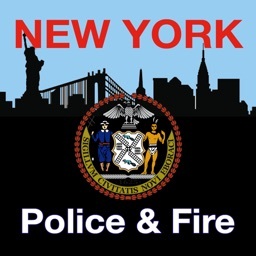 New York Police and Fire has all the New York Police and Fire department information along with major area hospital’s information for your emergency use. 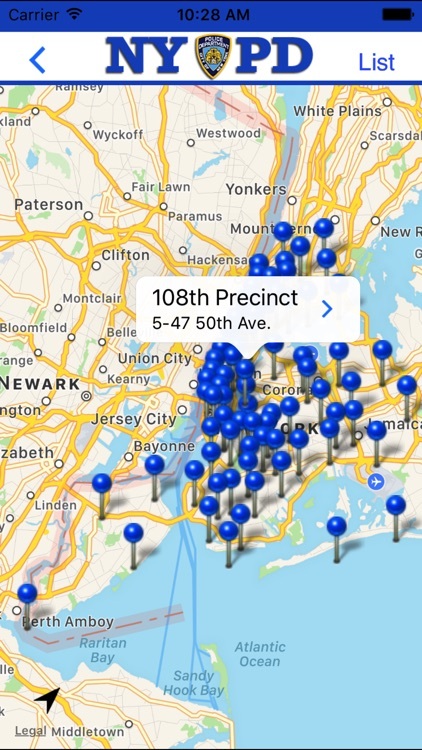 These locations are displayed in "list view" and "map view". 4- Closest location feature (by utilizing the arrow in the lower left hand corner of map view). 5- Native information to the app (meaning you can access the information without cellular or wifi service). 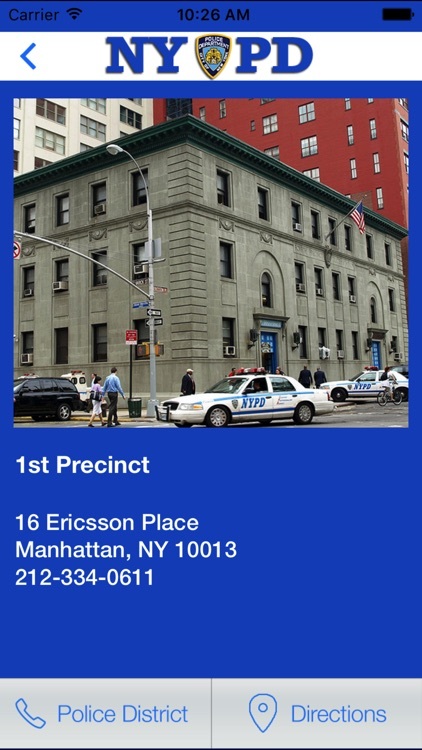 The New York Police and Fire app gives the residents and visitors of New York peace of mind knowing that in those rare instances when you need Police, Fire or medical assistance, you know exactly where to go. 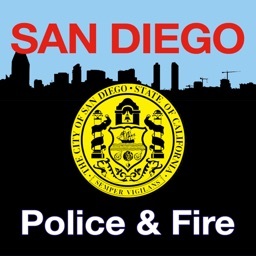 You can always show up at your local Police District to file the various Police reports you may need. 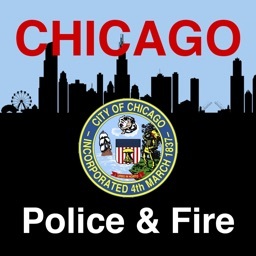 Including but not limited to: accident reports, stolen property reports, missing persons reports, damaged property, harassment, assault, larceny, etc. 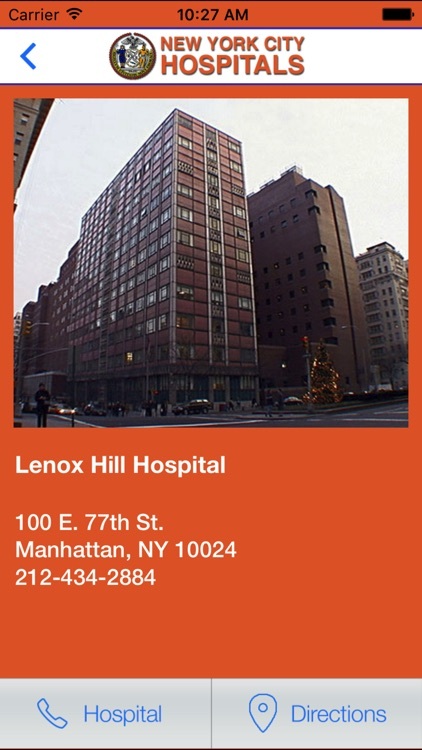 A must have reference for any New York resident or visitor. During catastrophic events, its been well documented that the 911 system can fail. This happened in New York City during 9/11, the blackout, and recently during Hurricane Sandy. 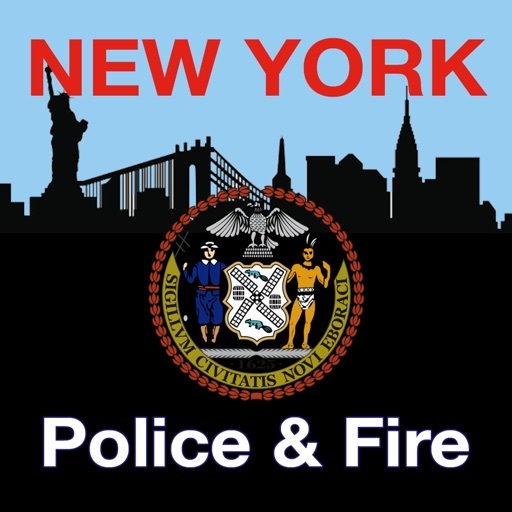 Many calls for help did not get through to the NYPD and FDNY due to the 911 systems failing. 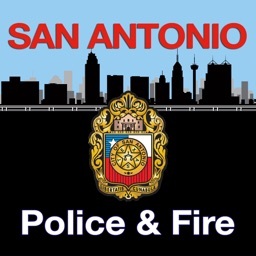 This app is also a backup for when the 911 systems fails. You can always show up to the closest locations to get help. 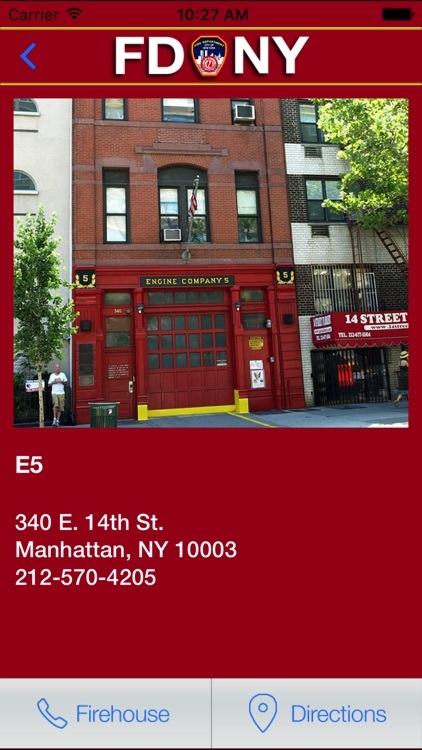 This app is useful to Police Officers and Firemen as well as the residents and visitors of New York . 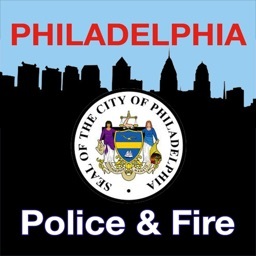 For Police Officers and Firemen it’s a way to get directions to the various Police Districts or Firehouse you may have to visit during your careers. It also has all department phone numbers in case you need them right on your phone. 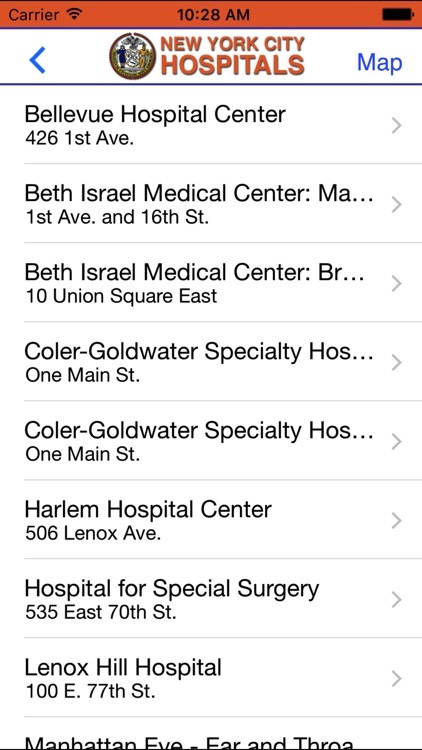 It also has all major hospital locations with one touch directions in case you need to transport a patient. 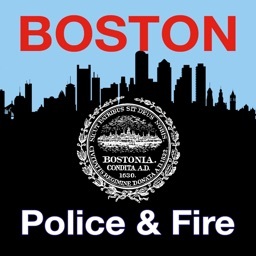 For residents and visitors this app will let you know where the Police stations, Firehouses and hospitals are located with one touch calling and directions features for search, returning less results, which help you save time.